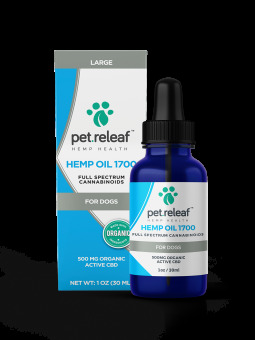 Pet Releaf Hemp Oil 1700 is an Organic Full Spectrum Hemp Oil extracted using a solvent-free super critical CO2 method. This product is perfect for medium to large breed dogs experiencing more severe illness or injuries. It has no known contraindications and has no known negative side effects.